This blog is a little late. We were sitting on the patio for this Summerlicious meal. My bad! Upon looking at their website and menu, I expected it to be more 'Tavern' than 'Urban', but it was definitely the opposite. A trendy spot with a rustic name is how I'd describe it. Definitely nothing rustic about the décor. The patio was large and inviting. It had a variety of seating, live music and beautiful gardens of flame to keep you warm in the evening. We started with the Vegan Taco. The sweetness of the dates cut through the savoury goodness of the onion. It was very fresh. 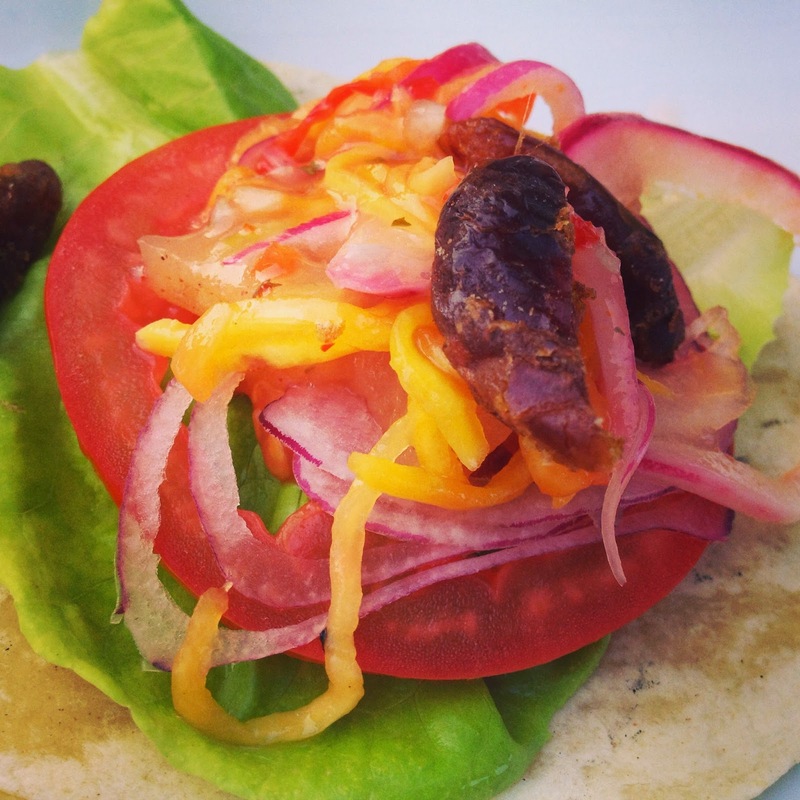 The veggies were crisp and the mango slaw really brought the whole taco together in harmony. I'm getting hungry just thinking about it. 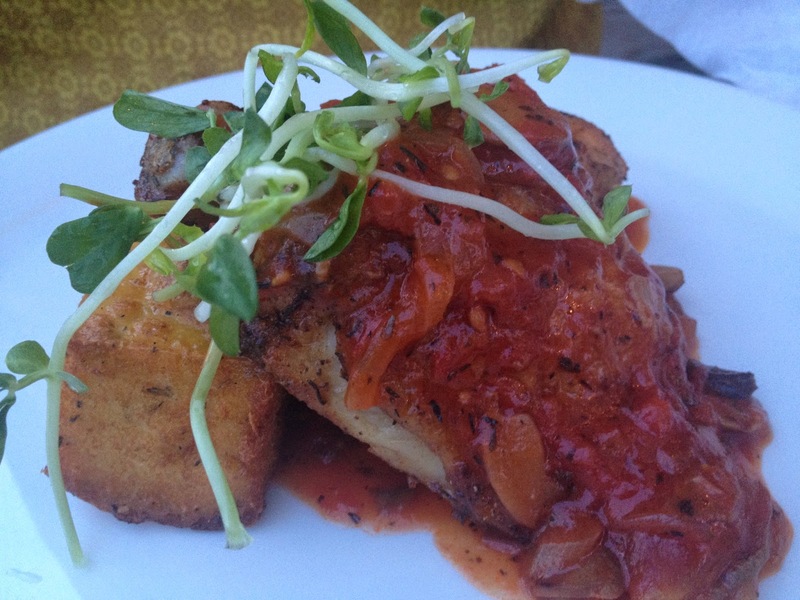 For the entrees, my aunt chose the Drunken Chicken Fricasee and I went with the Fried Potato & Whitefish. She said the breading on the chicken was perfect, not too thick or greasy, but crisp and favourful. I felt the piece of chicken was a little small, but she didn't complain. Polenta is always a treat and this was no exception. The tomato sugo was perfect for dipping the firm polenta. 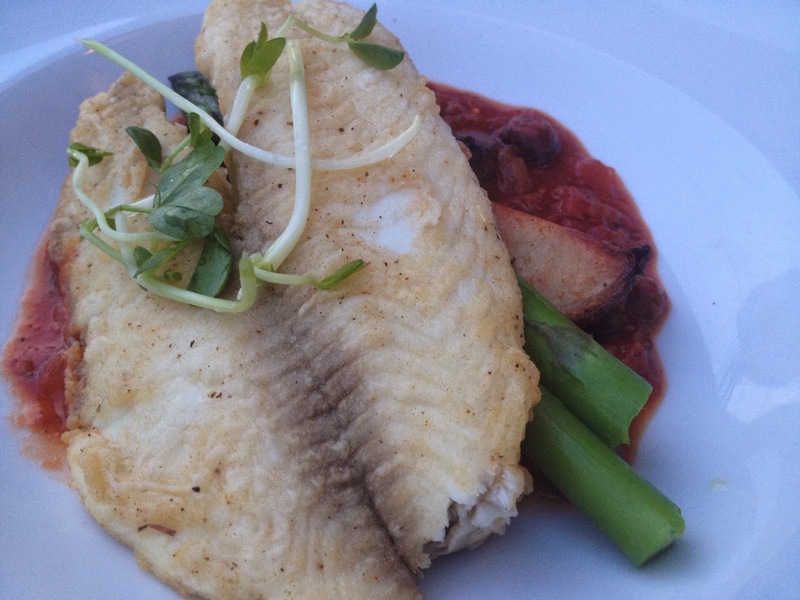 My whitefish went nicely with the ragout. I'm not a huge fan of olives, but the sauce was pretty good. Dessert was simple and fabulous. I often go for the complicated sounding gourmet desserts; today I just wanted ice cream. 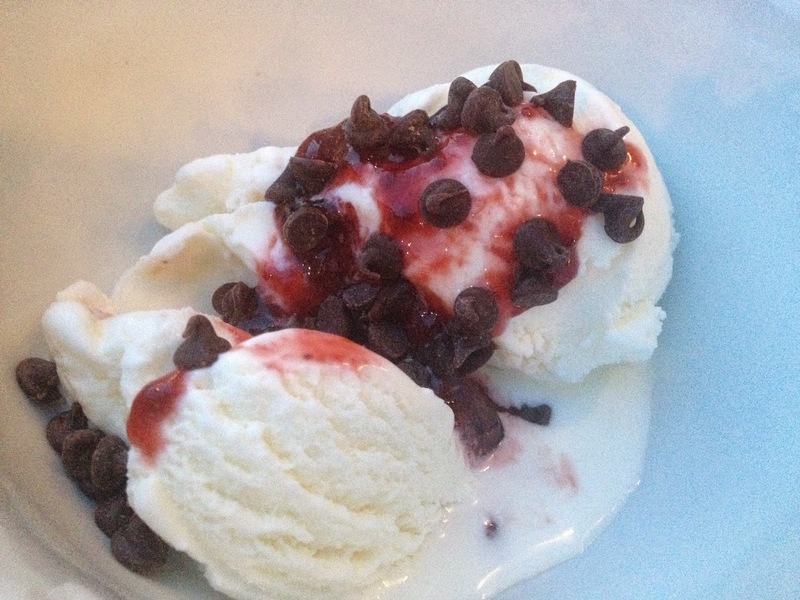 Vanilla ice cream topped with chocolate chips and stewed strawberries was the perfect ending to a savoury meal. So simple, but so delicious. Creamy and sweet, what else do you need?! 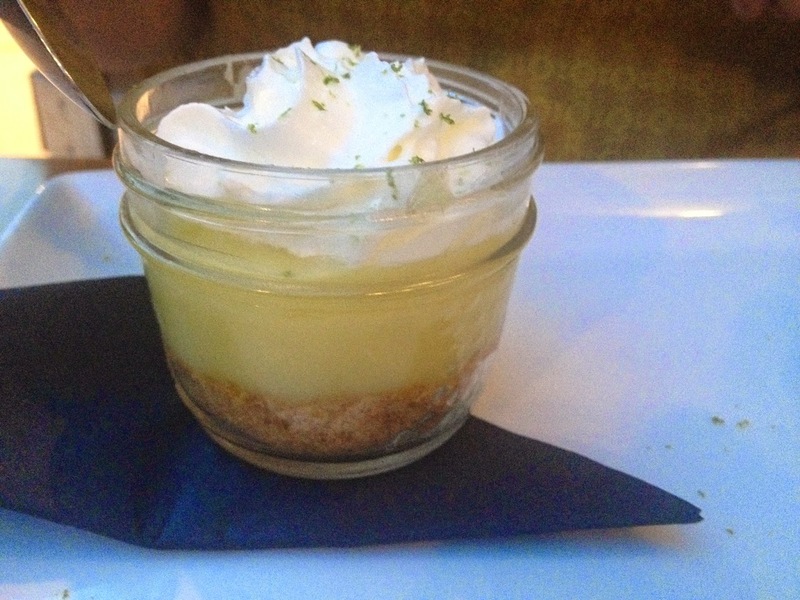 My aunt is a pastry chef and loved the Key Lime Pudding in a Jar. Great idea and just enough! The servers were great. They had a good sense of humour and weren't afraid to be themselves. Refreshing! Hopefully, I post the Winterlicious blog before Summerlicious starts! Doh!